Before she hit the stage to present, Niecy Nash posed on the red carpet at the 24th Annual Screen Actors Guild Awards this evening(January 21st) at the Shrine Auditorium in LA. 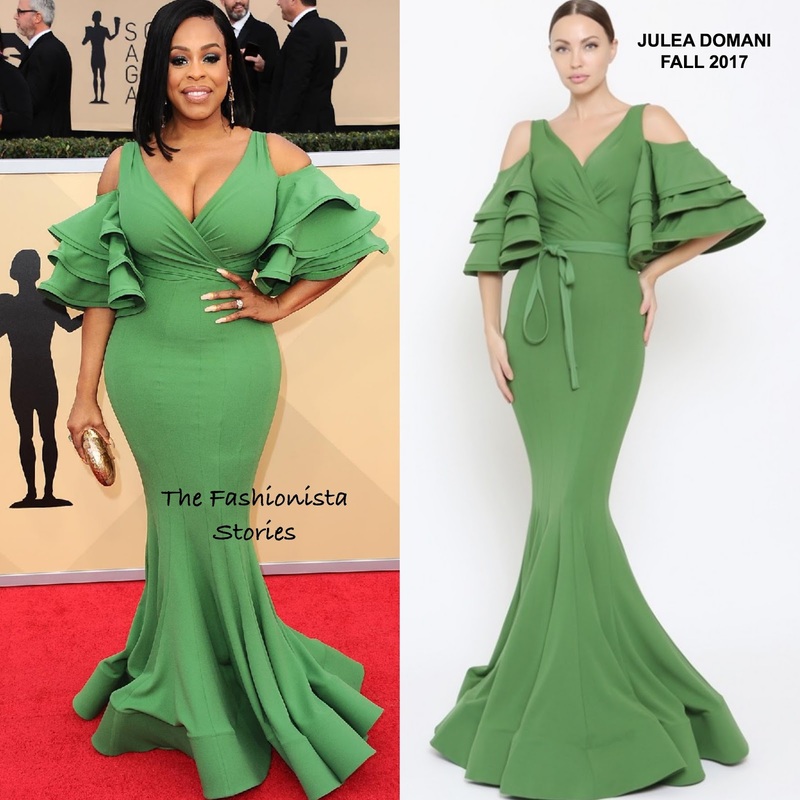 She worked her frame in a JULEA DOMANI FALL 2017 green floor length dress with ruffle cold-shoulders, a v-neckline and a trumpet hem. In the look book, Niecy's dress featured a matching waist sash which she ditched and did not need. For me, I love the fit of the dress on her. However the tier ruffle sleeves does not work and this dress seems suitable for someone on the taller side. Nonetheless she is working this dress Do you agree or does Niecy's look work for you?